Your time is one of the most valuable gifts you can give a child. 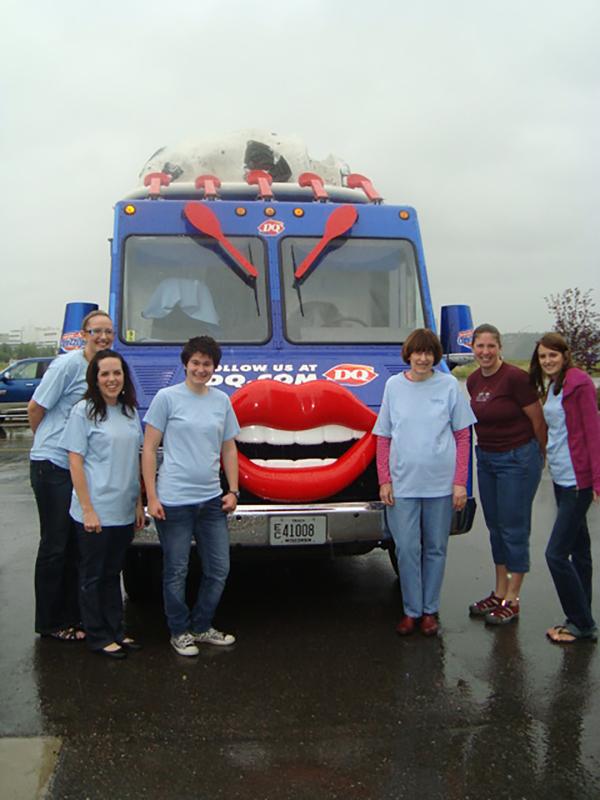 Happy National Volunteer Week to all our incredible volunteers! As the needs for services provided by the Alberta Children’s Hospital grows, so does the need for continued support from the Alberta Children’s Hospital Foundation. 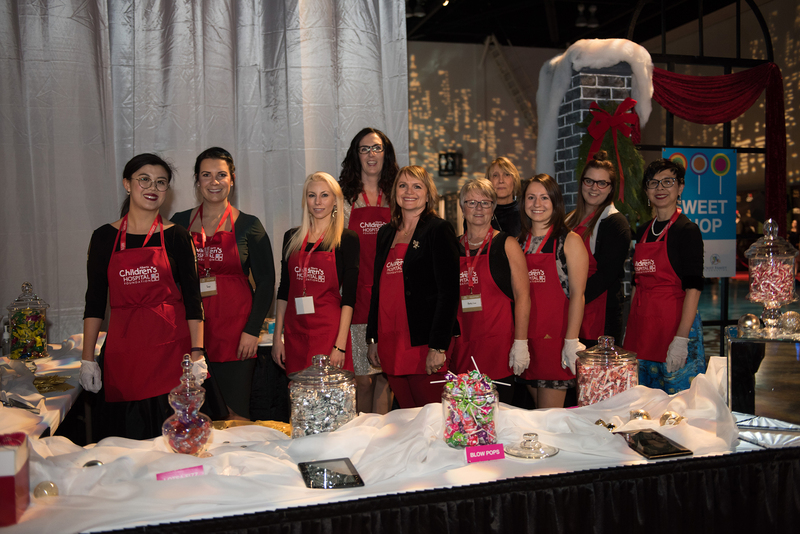 We are very grateful this amazing group of people has chosen to be a part of our team and give us the gift of their time, skills, experience, and passion to help others. 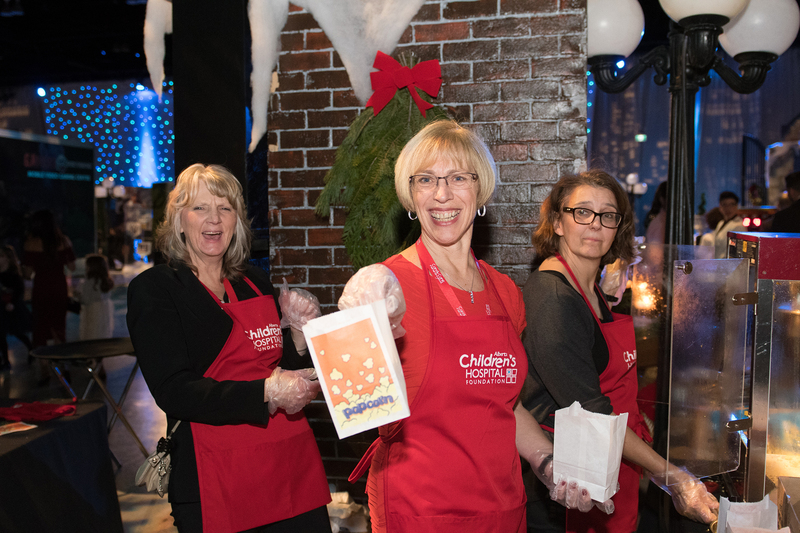 On behalf of the Board and staff here at the Foundation, the hospital and the 102,000 kids and their families that use this hospital every year... THANK YOU! Why do I volunteer? I like to give back by volunteering my time and the hospital was a special place to my Mum and so I volunteer for myself but also in memory of my Mum. I have volunteered on various events from helping with the planning of the new hospital from the parent’s point of view, the Telethon at the old hospital hosted by Ed Whalen, the inaugural committee for the Candy Cane, filling helium balloons, wrapping Christmas gifts, stuffing envelopes, thanking donors for their support, Radiothon, Chinook Stampede breakfast, serving tea to donors at the annual Donors Tea. The list goes on. Through all of the volunteering I have met so many amazing people. From other volunteers, to the Foundation Team, doctors, nurses, support staff, all with the same believe as we do in our family - the importance of the Alberta Children’s Hospital in our community. 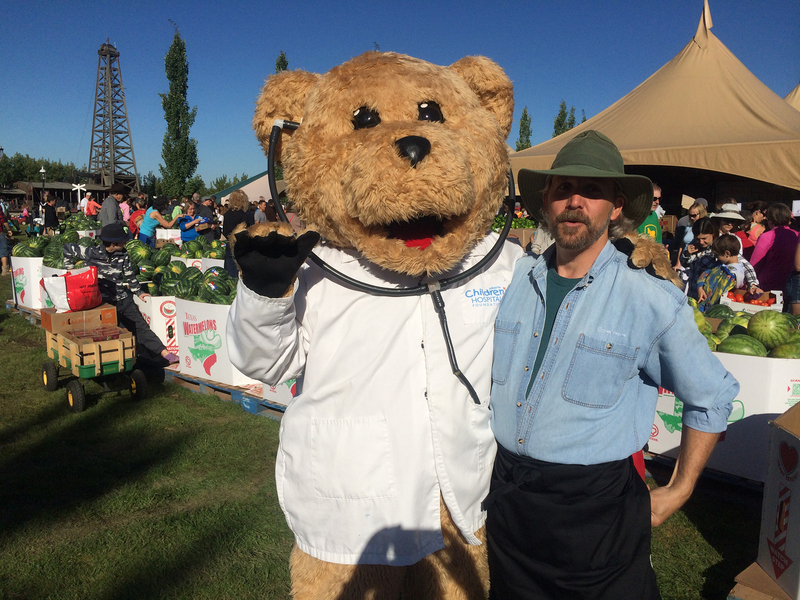 But my most memorable volunteering moment was last year at the Children’s Hospital Stampede event at the hospital. 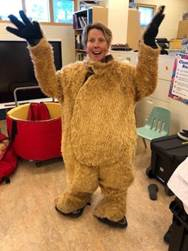 I got to be Dr. Teddi. Two things that I thought I would never be - a doctor and a mascot! I volunteer annually at Radiothon. As well I have stuffed envelopes with tax receipts, filled little bags with post-treatment surprises, helped with office reception, filed and done data entry. Of course the Candy Cane Gala is always magical. Some of my best memories come from the Harvest Sale. Nothing like shouting “Come get your apples (or pumpkins or corn on the cob....) dirt cheap, turn of the century prices, before they’re all gone!” to make me feel happy. It’s for the feelings deep inside. 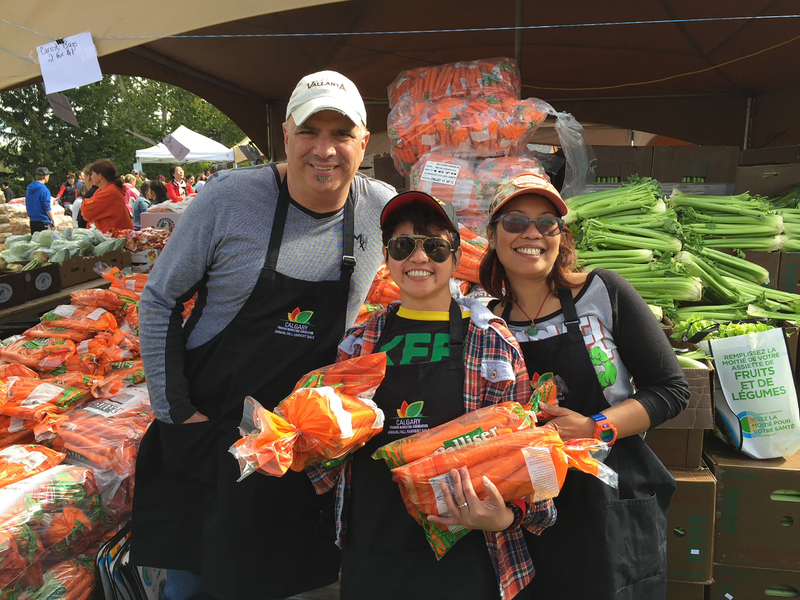 Volunteering at the Foundation brings me much joy, a sense of purpose and a feeling that I am part of a very special, caring group indeed. The global purpose, of course, is to advance opportunities for the children and families who use the services at the Hospital, but I so enjoy giving the team a hand in the absolutely wonderful and important work that they do. I observe that each team member is hard-working, dedicated, professional and knowledgeable and to feel like I can make even a minor contribution to help them out, then I go home satisfied. I so value the friendships that I have developed there over the years and am extremely grateful and proud to be part of the Foundation family. I enjoy volunteering for the Alberta Children's Hospital and the Foundation because it has been an integral part of my nephew's life for the past 17 years. My nephew has been coming to the hospital since he was just two weeks old, first over at the old site, and now here at the new site. I know all of the wonderful things that this hospital has done for my brother and his family, and my hope is that volunteering just a little bit of my time can make this hospital special for another family that comes through the doors. 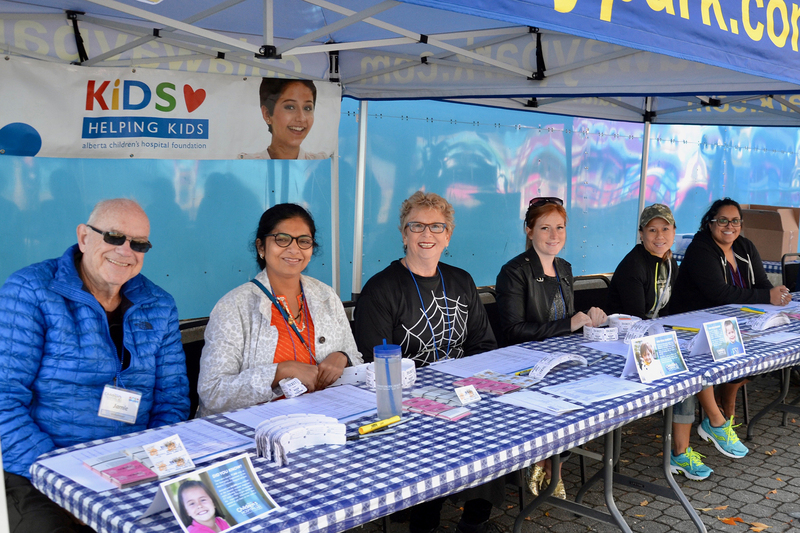 The Alberta Children’s Hospital Foundation is looking for individuals to volunteer at our special events and in our office. If you enjoy meeting the public and representing the Foundation, we are looking for you. Enthusiasm, professionalism and passion for the cause are definite assets. To volunteer at the Foundation, please call 403-955-8838 or email our Volunteer Coordinator at volunteeringinfo@achf.com.